Carrie Vaughn is an American author who writes the urban fantasy Kitty Norville series. She has published more than 40 short stories in science fiction and fantasy magazines as well as short story anthologies and internet magazines. She is one of the authors for the Wild Cards books. Vaughn graduated with a Bachelor of Arts degree from Occidental College (during the course of which she also spent a year at the University of York) and later graduated from the University of Colorado at Boulder with a Master of Arts degree in English Literature. She currently lives in Boulder, Colorado. Her stories have received a number of honorable mention credits in The Year's Best Science Fiction, edited by Gardner Dozois and The Year's Best Fantasy and Horror, edited by Ellen Datlow, Terry Windling, Kelly Link, and Gavin Grant. 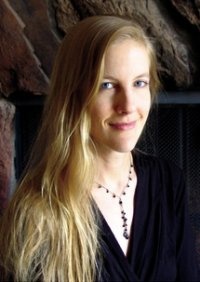 Carrie Vaughn was a 1998 graduate of the intensive 6-week Odyssey Writing Workshop, one of the top speculative fiction writing workshops in the USA. In 2009, she returned to the workshop as the special writer-in-residence.